The 2016 NCAA Tournament is almost set to get underway and the selection committee made some questionable choices when seeding teams on Selection Sunday. There were plenty of instances, as expected, when a certain seeding had fans, coaches and players everywhere scratching their heads. Heck, even some college basketball experts were confused by certain picks, even a couple of No. 1 seeds who weren't as deserving as others. 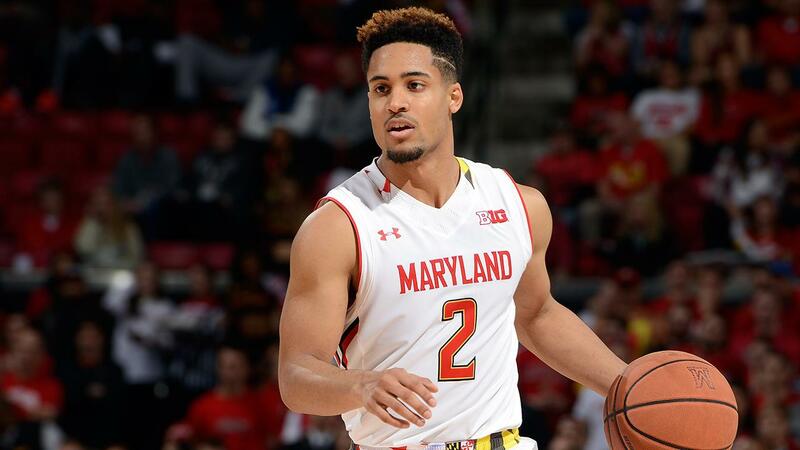 March Madness is ready to get pretty wild this season and there are plenty of teams who could make a serious run at a Final Four, but only a handful who have a good shot at winning the national title. Each year, there are those teams that get ranked high and you wonder what they did so special that earned them such a high seed. Others were ranked a little too low and that has the fans of those certain teams up in arms. The selection committee is never perfect, but you have to admit they did get most of the field correct, even though some teams were snubbed — including the incredibly awesome bench of Monmouth. Other teams got in that many thought wouldn't such as the Michigan Wolverines and Tulsa Golden Hurricane who will be facing off in a play-in game. SEE MORE: Who leaked the March Madness bracket? Man, calling the Virginia Cavaliers overrated while having the No. 1 strength of schedule in the country and No. 2 non-conference RPI is a little harsh, right? Wrong. Virginia was a potential No. 1 seed before the ACC Tournament final against North Carolina, but the Cavaliers came out unsuccessful, losing 61-57. The Cavaliers do have a handful of quality wins against West Virginia, Villanova, California, Miami (twice), Notre Dame, Louisville (twice) and North Carolina, but the bad losses are hard to get over. They have lost to four non-NCAA Tournament teams: George Washington, Virginia Tech, Georgia Tech and Florida State. Virginia finished the year with a horrid road record at just 5-6. There’s no way the Cavaliers are worse than a No. 2 seed, but they’re clearly the most overrated one-seed in this year’s NCAA Tournament and one in which many believe don’t deserve such a high distinction. Losing the ACC Tournament title game and seven contests overall this season should have knocked them down to the two-line, but that wasn’t the case. Virginia might be good, but it’s certainly not deserving of a one-seed. Again, let me make myself clear about picking these overrated teams. I’m not saying these squads aren’t good, but they have been seeded far too high for what they have shown this season. Utah is another example of a team that just didn’t deserve to be slotted so high. Snagging a No. 3 seed and facing No. 14 Fresno State in the first round, the Utes look like nothing more than a decent Pac-12 team — one that might be third or fourth-best in the conference. I picked record vs. RPI 51-100 teams because most squads on the overrated list had mediocre marks, but the Utes were actually pretty good. Where Utah struggled, it was against elite teams. In fact, against RPI top 50 teams, the Utes were just 11-6, losing both contests to Oregon in the regular season and then to the Ducks by 31 in the Pac-12 title game. No. 3 seeds are supposed to be good enough to beat the top teams in their respective conference, but it looks like the Utes just beat up on the middle-of-the-pack teams in their league. They did beat Cal twice, USC twice and Arizona once. However, a 3-5 record versus RPI top 25 teams just isn’t good enough for three-seed consideration. The SEC was one of the worst conferences in America this season. A team that finished 24-8 is usually a lock to get in the NCAA Tournament, but the selection committee took into consideration how weak the SEC was in 2015-16 and left the surprising South Carolina Gamecocks out. Three teams from the Southeastern Conference did make it in, however, and the Texas A&M Aggies were one while the other two were comprised of Kentucky and play-in competitor Vanderbilt — the latter isn’t technically in the field of 64 yet. With the weak conference comes weak wins and an overall poor schedule. Texas A&M was probably the best regular season team from the SEC, but finished just 26-7 after a rough stretch near the end of the year. Texas A&M’s strength of schedule ranked just 77th and the Aggies played just five games against RPI top 50 teams, winning each one. Texas A&M did not beat a single team that earned a seed higher than four in the NCAA Tournament this season and the Aggies have bad losses to LSU, Arkansas, Alabama and Arizona State. Not much was proven by the Aggies even though they were SEC regular season champs, but they lost the conference title game to Kentucky — and somehow earned a higher seed. Being the reigning NCAA champion has to help when it comes to seeding in an off-year, and the Duke Blue Devils are living proof of that notion. Mike Krzyzewski’s squad had a mediocre season, under his standards, and still ended up getting a four-seed over a team like Indiana — who received a No. 5 seed — that won the Big Ten regular season title. Duke will always be considered a hated team with a huge target on its back, and this year is no different. Sure, half of America will be rooting for the Blue Devils to lose in the first round while the other half picked them in their bracket. Again, this is one of those teams that had a solid record vs. RPI 51-100 teams, but the Blue Devils were an awful 6-8 vs. RPI top 50 teams. Duke had wins over Virginia, Louisville, Indiana and North Carolina this season, but being unable to beat Notre Dame (twice), Utah, Kentucky, Miami and Pitt were reason enough to drop the Blue Devils to a five, six or even seven seed. Not many teams with 10 losses on the year can go up and get a No. 4 seed, but the Blue Devils are known for being a Final Four favorite every year no matter what. A team 6-8 vs. RPI top 50 teams is a No. 4 seed? Pathetic. It felt like a lot of the seeding in this year’s tournament by the committee was based off potential and the California Golden Bears were the perfect example of that. As a very young team with two potential NBA Lottery picks on the roster — Ivan Rabb and Jaylen Brown — the Golden Bears were solid against teams with RPIs ranging from 51 to 100, but against RPI top 50 squads, they were just 8-8. Earning a No. 4 seed in the NCAA Tournament isn’t easy. Usually teams have to be ranked in the top-15 range with a handful of quality wins and no really poor losses, but the young Golden Bears weren’t the most deserving four seed, at all. In fact, Cal was ranked No. 24 in the AP poll, had a 23-10 record and suffered bad losses to Richmond and Stanford this season, but moved up to the four-seed line even with just one win in the Pac-12 Tournament. Their non-conference strength of schedule was 91st in the country and they were an awful road team, going 4-7, and just as bad on a neutral court, finishing 1-3. The NCAA Tournament might spell trouble for this overrated No. 4 seed. Now we move along to the teams that need a little more respect. Tom Izzo has earned the nickname “Mr. March” for a reason. Seven Final Fours in the past two decades is an incredible accomplishment, but his Michigan State Spartans will be playing this year’s NCAA Tournament with a gigantic chip on their shoulders. Coming into the Big Ten Tournament, Michigan State was ranked No. 2 in the country and as a borderline No. 1 seed in the NCAA Tournament projections. A week later, the Spartans have won three straight games against Ohio State, No. 18 Maryland and No. 13 Purdue for the Big Ten Tournament title, yet have dropped to a No. 2 seed. What? Yes, I’m calling a No. 2 seed underrated strictly because Michigan State deserved the No. 1 seed more than just about anybody — other than Kansas. However, the Spartans already have a win over Kansas this season as well as quality victories over Providence, Louisville, Maryland (twice), Wisconsin and Purdue. The Spartans are 20-4 versus RPI top 150 teams and have just one poor loss against Nebraska this season. You’re telling me the No. 2 team in college basketball before winning the Big Ten Tournament falls to a No. 2 seed in March Madness? Unbelievable. Kentucky might just be the scariest team below three-seed range in the entire NCAA Tournament field this year. When the bracket was announced, it was almost assumed that John Calipari’s team would get a higher seed than fellow SEC foe Texas A&M who they beat in the SEC Tournament title game. Both teams tied with the same SEC record at 13-5 and the Wildcats had the bragging rights as tournament champs, but the regular season champ, via tie-breaker, was rewarded a No. 3 seed while the tourney champs were given a four. That might seem fair since A&M won the regular season title and the matchup against Kentucky at home, but the Wildcats never got a chance to host the Aggies and then went on to beat them on a neutral floor for the conference tournament title. Kentucky doesn’t have many quality wins, but it is peaking at just the right time, winning 10-of-12 games and beating RPI top 100 teams 14-of-20 times. The Wildcats may not have done enough to deserve a No. 2 or No. 3 seed, but being a lower-ranked team than Texas A&M is a travesty. This team has a serious shot of making the Final Four. When you look at the Arizona Wildcats roster, you see one of the most, if not the most, talented rosters in all the Pac-12. Although Arizona stumbled a little toward the end of the season, going 3-3 in the final six games, the Wildcats are still dangerous and look like a No. 4 or No. 3 seed. The NCAA selection committee saw it completely different as the Wildcats earned a No. 6 seed, somehow, despite putting up a 25-8 overall record and beating most of the teams it was supposed to. A 9-1 record versus teams with RPIs in the 51-100 range is solid and they only had one bad loss — to UCLA on the road early in Pac-12 play. Playing through injuries is no excuses to rack up losses, but the Wildcats were rarely at full-strength and that’s something the committee is supposed to take into consideration. Arizona finished the regular season ranked No. 15 in the AP poll, but lost 95-89 in the Pac-12 semifinals to eventual champion Oregon. The Wildcats might not be the best team in the conference, but to dub them a No. 6 seed and Cal a No. 4 is just ridiculous. When was the last time a Big Ten regular season champ was seeded so low in the NCAA Tournament? It’s probably been a while because the Big Ten is considered one of the top-two college basketball leagues out there and the Indiana Hoosiers proved to be a valuable March Madness threat in the regular season, but the committee wasn’t impressed. Tom Crean had a comeback season, leading the Hoosiers to a 25-7 record and had it not been for a buzzer-beating three-pointer by Michigan’s Kameron Chatman in the Big Ten Tournament to beat them, they’d probably be a No. 3 seed. Yogi Ferrell was one of the finalists for Big Ten Player of the Year, losing out to Michigan State’s Denzel Valentine, and the Hoosiers had one of the best offenses in college basketball this season. A poor start to the season set Indiana behind early on, but the committee is supposed to look at how a team finishes, and not many had a better end to the 2015-16 campaign than the Hoosiers who went 15-3 in Big Ten play to win the conference title. Throw in wins against Maryland, Notre Dame, Iowa (twice), Purdue and Wisconsin and you have a team that has the potential to make it to the Final Four as a No. 5 seed. Seriously, though? The Big Ten’s regular season champ is a five-seed? What a shame. Kris Dunn might be the best point guard in America. The Providence senior had come back to school for his final year of eligibility to win a conference title and make a run at the Final Four, but the first goal was not completed due to a poor finish to the regular season. The Friars hit a bumpy patch at the wrong time, dropping 6-of-11 games to finish the year, losing in the Big East Tournament semifinals to Villanova, but they had beaten the Wildcats earlier in the season. The do have a few bad losses to Marquette (twice) and DePaul, but other than that, the Friars did nothing to drop all the way to a No. 9 seed. At one point this year, the Friars were considered one of the top-10 or 15 teams in the nation and the duo of Dunn and forward Ben Bentil looked to be as formidable as any in the country. The last stretch of the year dropped them from 18-4 to 23-10 and apparently that was enough to slot them at No. 9. A 6-7 record against RPI top 100 teams is far from ideal, but the Friars are a dangerous team and it’s almost unfair to match them up with an unsuspecting eight-seed with a No. 1 seed in the next round. North Carolina has that tough draw in round two, if Providence makes it, and the Friars have shown the ability to hang with teams of that caliber this season, playing Michigan State tough and beating Arizona. Check out FanSided's March Madness hub page here.